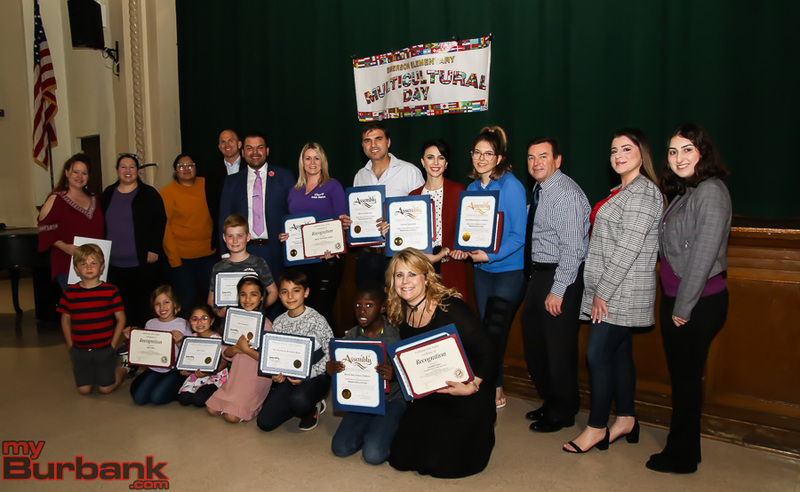 Dance performers and PTA volunteers were recognized on Friday, March 29, by the Burbank Board of Education and local lawmakers for their efforts in presenting the Ralph Emerson Elementary Multicultural Celebration, which was held on February 22. Board of Education member Dr. Armond Aghakhanian spoke at the ceremony and presented certificates from Board President Roberta Reynolds and Superintendent Matt Hill. Additionally, certificates of recognition from Senator Anthony Portantino and Assemblymember Laura Friedman were presented. Hill and Dr. Peter Knapik from BUSD attended the event, along with Arda Tchakian from Portantino’s office and Friedman’s field representative Maria Azilazian. Those honored included the PTA’s Multicultural Celebration committee members Ellen Sedrakyan, Dipali Patel, Carla Eilering and Cristi Castillo, along with the committee chair Julie Cho. Two Emerson teachers, Vivian Zakarian and Arpine Shazarian, who performed with the Gevorkian Dance Academy, were recognized along with Peter Hosharian, who is the father of fourth- and second-grade students at the school. Others honored included Tracy Kochout, parent of a fifth-grader, from Clearly Irish Dance Studio and Trina Robinson, owner of Rock Star Dance Fitness and a parent of second-grade and kindergarten students at the school. 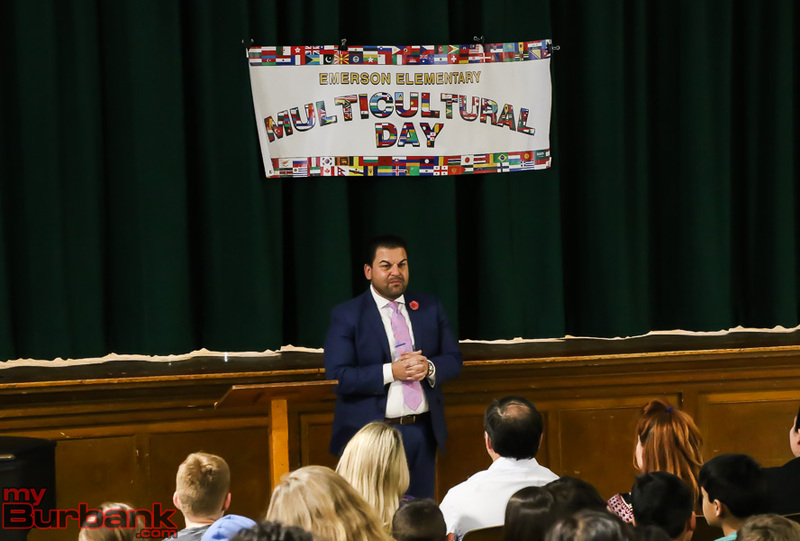 The second annual Emerson Elementary Multicultural Celebration featured performances by the Gevorkian Dance Academy, The Hosharian Brothers, Clearly Irish Dance Studio, Mexico Azteca Dance Company and Rock Star Dance Fitness. During the day of the event, “students and staff wore clothes to represent their culture and that evening families were invited to continue with the celebration of all the beautiful cultures our students represent,” explained Kaitz. The evening included a potluck dinner, arts and crafts for the students and the multicultural dance performances. Students and teachers each also had an Emerson passport with their photo made. Their passport was stamped with the particular country of the food or craft that they tried at the different food and craft stations. “Many parents dressed in their cultural wear for the show and it was a beautiful sight to see so many different cultures all together in celebration of our Emerson community,” commented Cho. “It was a full house with dancing, singing and eating authentic dishes which are families brought to share,” Kaitz added. This entry was posted in News, Schools and tagged emerson elementary, ralph emerson elementary on April 4, 2019 by Lisa Paredes.